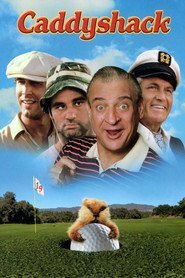 Living… in the greenskeeper garage of Bushwood Country Club. Carl lives in squalor, which he attributes to “credit trouble.” Junk is strewn everywhere. The golfer Ty Webb tells him the place is “really awful.” But a home is a home, and Carl is content. He rarely leaves the confines of Bushwood. 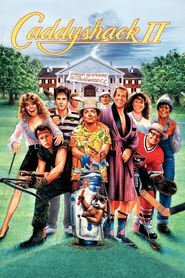 Profession… assistant greenskeeper at Bushwood. Carl reckons he’ll replace his boss, Sandy McFiddish, as head greenskeeper in six years time. His duties include changing the hole locations and donning a hazmat suit to disinfect the Bushwood pool when necessary. He typically works alone but occasionally hang with the caddies. He was a caddy himself once – on a course in the Himalayas, where he once caddied for the Dalai Lama. Relationship Status… single, with few prospects. Carl can often be found on the golf course ogling old ladies from afar. Challenge… saving Bushwood from an apparent gopher infestation. “I have been pushed,” he says. “It's about time somebody teaches these varmints a little lesson about morality and about what it's like to be a decent, upstanding member of a society!” In his crusade against the gophers, Carl employs a variety of weapons, including a hose, a rifle, and plastic explosives. In reality he is only up against one gopher, but this gopher is particularly crafty. Carl v. Gopher becomes something of a chess game, with each of them forced to think dozens of moves ahead. Our money is on the gopher. Personality… eccentric loner. Carl often talks to himself, out the side of his mouth. It is unclear if he talks to himself because he is usually alone, or if he is usually alone because he talks to himself. He misquotes Sartre. Though usually a horrible employee, he takes his gopher-eradication mission to heart; it becomes his singular obsession. He is Ahab, the gopher is his white whale, and he will defeat it all costs. Or fail. Carl Spackler's popularity ranking on CharacTour is #2767 out of 5,000+ characters. See our top-ranked characters and read their profiles.